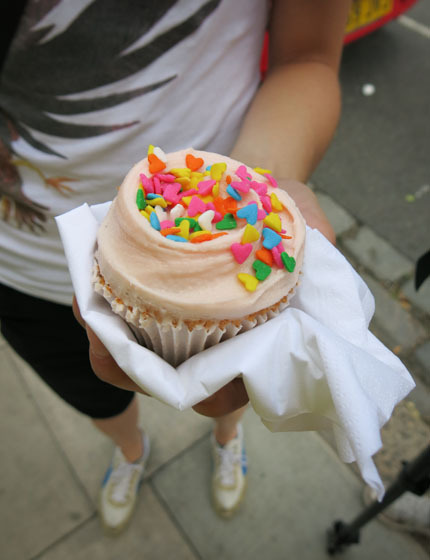 Stepping into this cutesy cupcake bakery always makes me feel like a child at a fun birthday party. 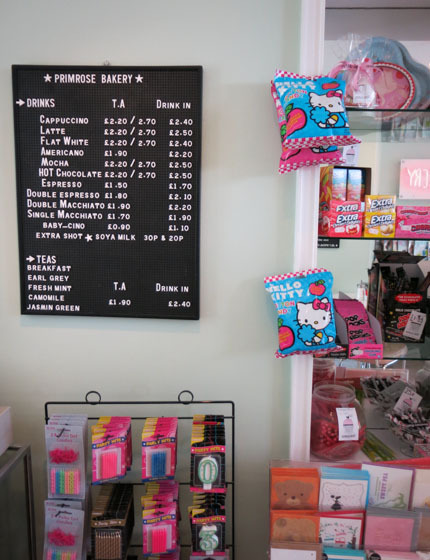 The café’s pastel colour scheme matches the cupcake icings, and you can buy little accessories like paper straws and cake decorations. Very sweet indeed. 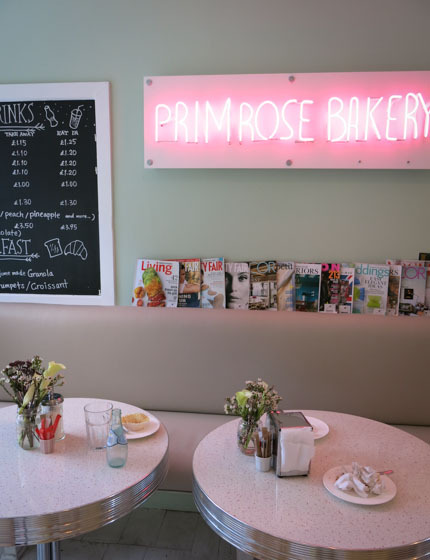 I had a cupcake at the Primrose Bakery in this episode of my show. 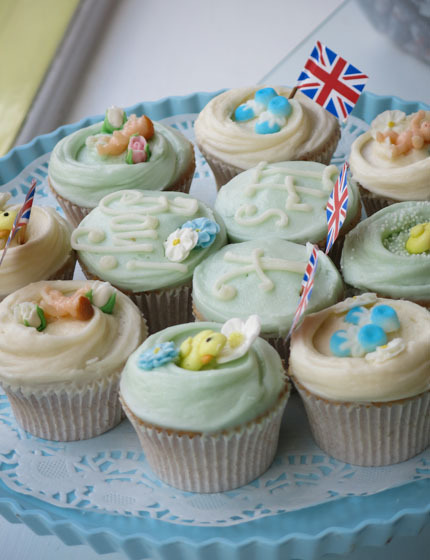 Wow, the cupcakes looks great!!! !